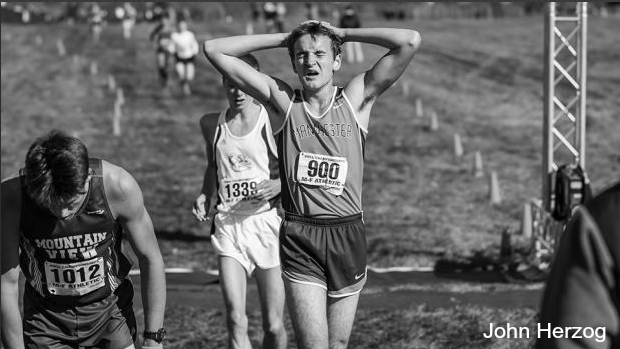 The VHSL State XC Championships have been held at Great Meadow--not Great Meadows--for a quarter century. It has been a historic time thus far at Great Meadow and it would be a shame if they were to move, but as it stands now the Virginia High School League is considering a move to another venue as early as next year. Great Meadow has hosted over 30,000 state championship athletes, over 120,000 spectators and seen some of the best teams ever in the US compete there. The venue has seen athletes such as Alan Webb, Sean McGorty, Kate Murphy, Weini Kelati, Drew Hunter, Libby Davidson, Rachel McArthur, Jason Witt, Bobby Lockhart, Sharif Karie, Caroline Alcorta, Catherine White, and many more. Simply put, the history of cross country in Virginia is tied to this venue and course. Now the VHSL is not out to get anyone or ruin a sport--quite the contrary. But the state's governing high school sports assocation is actively looking for a more equitable, affordable, and sustainable championship model for cross country. Specifically, the league is exploring the possibility of moving 1A, 2A, and 3A to a separate venue while 4A, 5A, and 6A would remain at Great Meadow. Both events would compete on the same Saturday. "Our goal is to provide the schools a chance to compete on Saturday, minimizing missed class time, saving travel expenses with many of them not requiring overnight stays with a change." Though the VHSL is still accepting proposals for new venues, according to our sources the real contender is Green Hill Park in Salem, more commonly known as the host location for Knights Crossing. For the location to move, though, quite a few things would still have to happen. But the wheels are definitely in motion as we speak. The first step of business would be, once legitimate bids are accepted by the the VHSL, is to forward them along to the association's stakeholders. That would include Chris Robinson, who oversees XC, and Billy Haun, the Executive Director of the VHSL. If both partiers and others sign off on the proposed move, they recommend it to the Executive Committee. That Committee then deliberates and decides whether the event is to move or stay. That is the same process for every state championship venue across all sports. Now the prospect of moving states has happened every few years since Great Meadow started hosting the event, but this time it seems very different, mostly because for the first time there is an actual "split" that could happen. 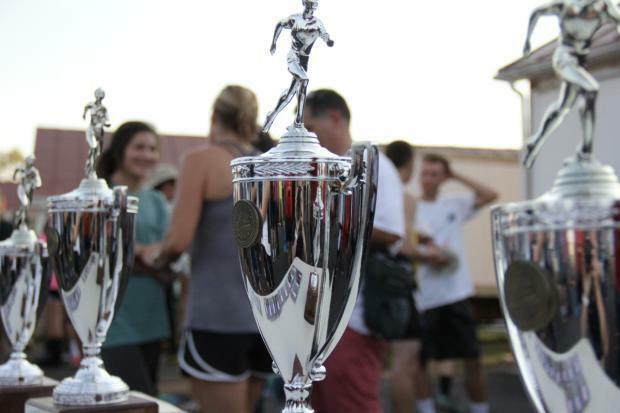 From 1993 until 2013, states was just one day; it wasn't until 2014 that the state championships became a two-day affair with two very different groups. But with large schools and small schools on separate days, there is an opening for a split to occur. The split and prospect of having all competition on Saturday is definitely a valid argument, but it's far from the main reason this could happen. The other is money, and the huge travel costs, specifically those of the southwestern Virginia schools. For example, it's a 414-mile roundtrip from Ocean Lakes in Virginia Beach to Great Meadow, while it's a 650-mile roundtrip for schools like Abingdon, the 3A state runner-up last year. That inequity is jarring. And when gas money for schools is coupled with the cost of three or four hotel rooms per team, it gets very costly. Here, though, is where things get dicey, political, and honestly take a turn from where most people think. The information on the state meet page (on VHSL.org) clearly states that all travel costs (meals, travel, and lodging) must be expensed by the school and that the VHSL will not cover those costs. The truth is, though, is that the state's sports association has been going out of its way to provide for many schools who do not have the means to travel accordingly. Take Abingdon, for example. If the program had two teams advance, they would have to get four hotel rooms ($500/total) plus food and the cost of a bus to and from the state meet. In total, the bill could rise well over $1,000 just for one school. That brings us to the very tough position the VHSL is in. They must decide between moving the venue to a closer location (for some and not all) or forcing more schools to foot the bill, like they are actually supposed to. According to the state's bid information on VHSL.org, the answer is simple. The first selection point for state venues is that they provide a "Big Time Atmosphere," something akin to what Great Meadow certainly does. The next points of emphasis are in deciding venues: Willingness of site to host, availability of site to host, site's abilities to meet league requirements, willingness and experiences of state meet directors at that venue, and finally, cost. The question is: Do you throw all of the other points aside for that final one? Great Meadow has hosted over 40-percent of AAA, over 50-percent of AA & A, and 100-percent of 1A-6A State XC Championships. If states were to move, all that history would be gone. There would be no more comparisons of teams across classifications on the same course. There would be no more true school records for states, and the VHSL's longest consecutive running state venue would never be the same.